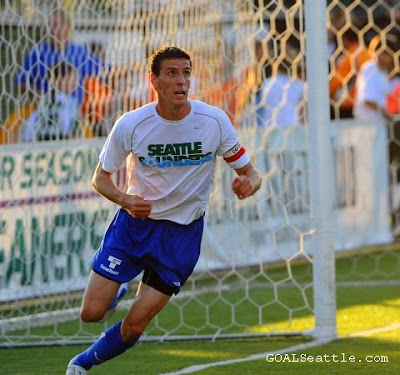 Here's a revealing interview with Sounders FC striker Sébastien Le Toux from Steve over at www.ProstAmerika.com. "I don’t think about it now but maybe in 30 years, I will look back at my career and say ‘Oh yeah, I was the first player ever for that club.’ But I’m not thinking about that now but just how to make this a big club, provide great entertainment and maybe be the best. But I’m not – ‘every morning, hey, I am the first, and then stop at that’. But perhaps when I am eighty, I’ll say it to my grandchildren."